We spend the morning in Liverpool, the ideal destination for refreshment, history, culture or a fix of retail therapy! 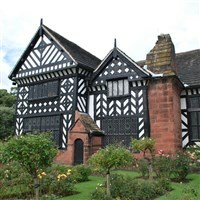 Early this afternoon you will have an opportunity to visit the stunning 16th-century timber-framed Speke Hall. With your included entrance you can explore the Tudor and Victorian interiors before browsing the beautiful formal gardens of this wonderful Manor House.